Part of the charm of New Orleans is how much there is to see by walking around the French Quarter. For first time visitors to the French Quarter, it can all be a little overwhelming trying to decide what to see, eat and drink. Ask a 100 different people what you should do in this famous city and you’ll find a 100 different answers, but these are my favorite things to do in New Orleans and what I tend to do again and again. This list also includes a number of free things to do in New Orleans as well. The French Quarter’s southern border is the Mississippi River with North Rampart Street, approximately 7 blocks, marking its northern boundary and Canal Street to Esplanade Avenue, 13 blocks, marking the east and west. That is a lot of territory and a lot of fun and history. 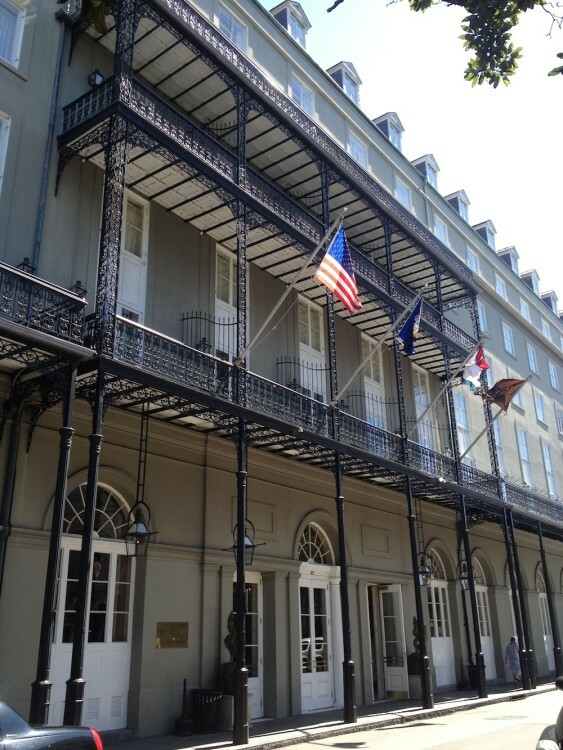 The buildings in the French Quarter are stunning to look at with their metal scrollwork and European flair. The Quarter is it’s very own cultural area setting itself apart from other cities with its fascinating history, endless cocktails, delicious food, jazz music and street parties; the most popular of which is Mardi Gras. St. Louis Cathedral/Jackson Square: Probably one of the most recognizable squares in the U.S. if not the world. Jackson Square is the place for festivals, street artists, and more. St. Louis Cathedral is worth walking into during non-service times just to appreciate the amount of gorgeous artwork adorning the interior of the building. 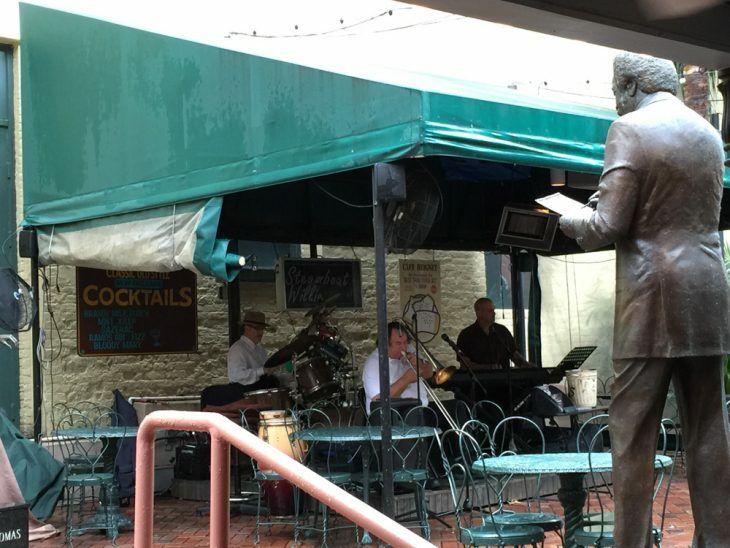 Musical Legends Park: My favorite place to grab a cocktail and listen to jazz music. Free to listen and if you’re lucky you’ll be able to find a seat to comfortably stay a while. Have some singles to leave a tip for the band. 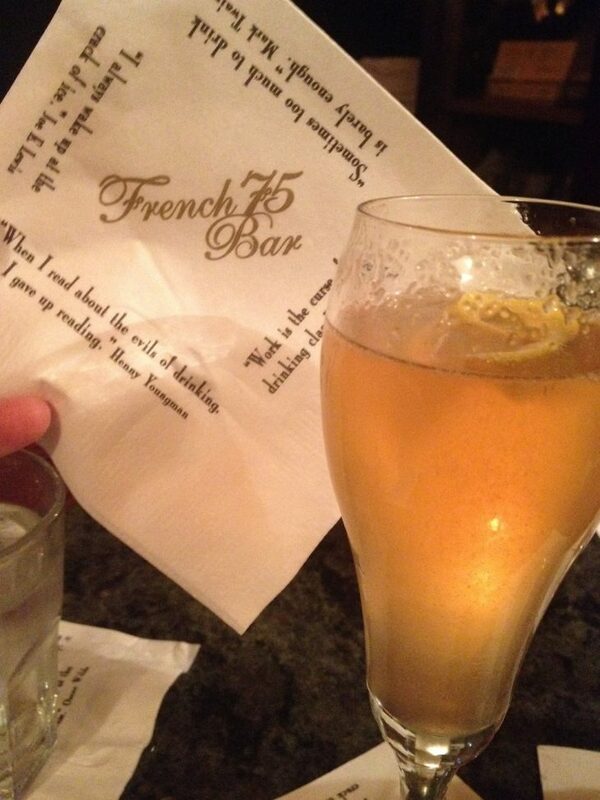 Carousel Bar or French 75 Bar: These are two of my favorite bars in the Quarter. The Carousel Bar has an actual moving carousel that you sit at and enjoy a cocktail while slowly rotating around the stationaryLouisian bar. The French 75 Bar serves up the best French 75 in the city and is a classy place to stay a while. Beignets & Chicory Coffee: I’d be remiss if I didn’t send you to have beignets and chicory coffee. Of course, the absolute most popular place in New Orleans for these treats is Cafe du Monde. Of course, going to the most popular place comes with a long wait. 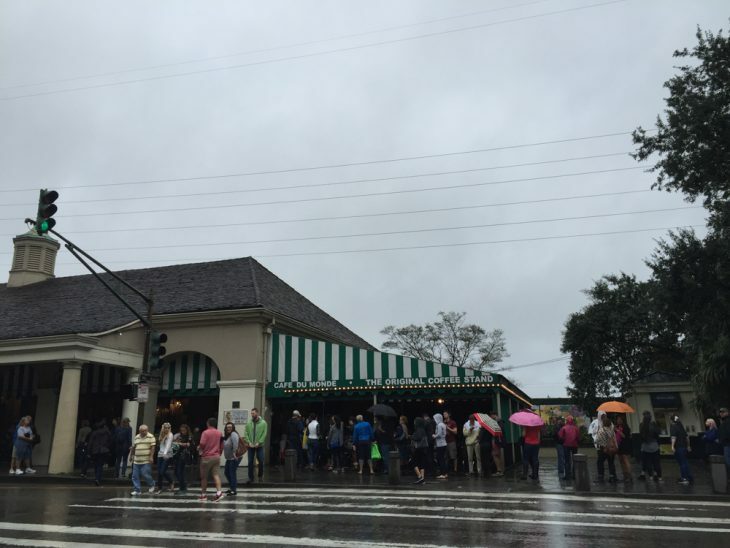 Even in the rain, there is a long line of people waiting for a taste of Cafe du Monde. 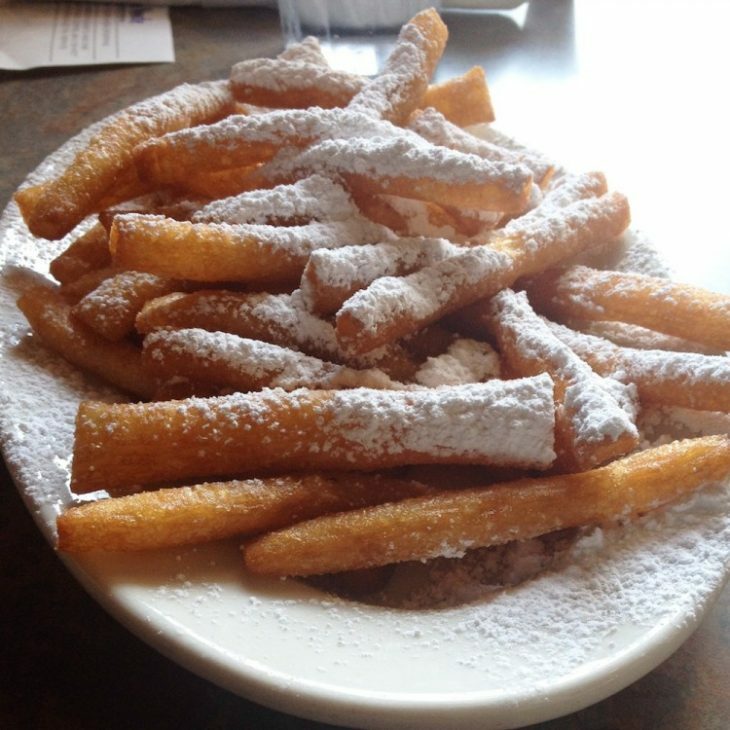 Save yourself the time and head over to Cafe Beignet or one of any other restaurants in the quarter for a tasty treat. 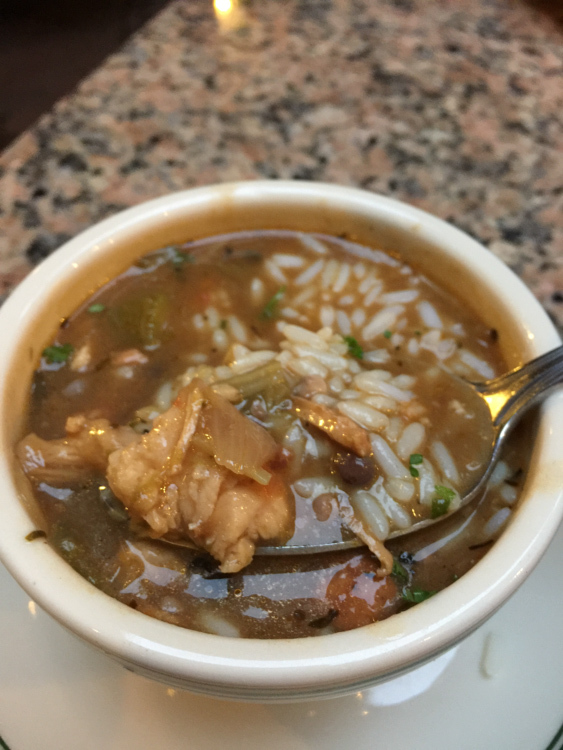 Gumbo: One of my favorite Louisiana foods is Gumbo and luckily it can be found on a daily basis at the Gumbo Shop Restaurant. I discovered the Gumbo Shop on my most recent visit to the Quarter and loved it. Walking Around/Sightseeing/Shopping: Gorgeous architecture, beautiful metal works, fun shops, and interesting people are found around every corner. 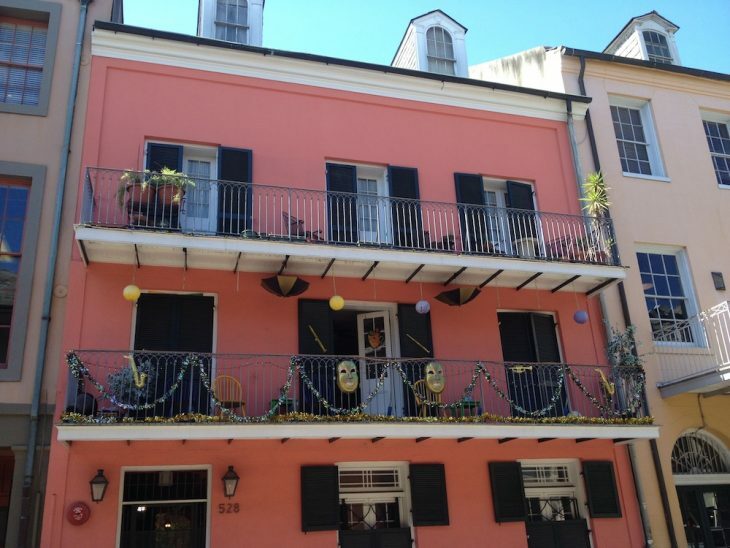 The good thing is that you can walk around the Quarter with your cocktail while enjoying the sights. 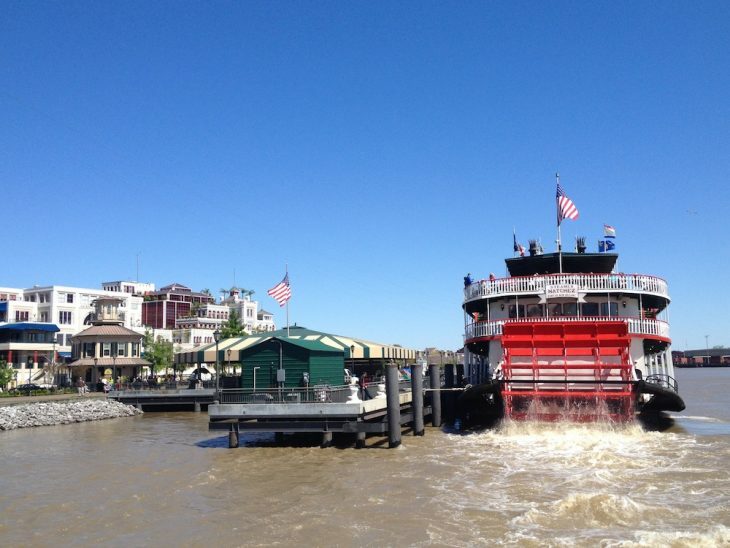 Get on the Mississippi River or at least stroll along it: Take a lunch or dinner cruise on the Steamboat Natchez or just stroll along the river. The mighty Mississippi River is always worth a visit when you are nearby. BONUS: One of the best Happy Hours EVER! Looking for more free things to do in New Orleans? Click here. I love the French Quarter. I’ve been to New Orleans several times, and I never miss a chance to hit the French Quarter. I always love visiting New Orleans! The French Quarter is one of my favorite areas. I really like The Gumbo Shop too. This looks like a great place to visit. It is at the top of my list for places to go on vacation. Really super ideas for those of us who have never been! I love the French Quarter. I need to go back and use these tips. I definitely get all the cajun food I can when I visit. New Orleans is one of the few major US cities that I have yet to visit. Their unique graveyards and Cafe du Monde are definitely high on my must see list. I should be going to New Orleans with my daughter again this year. Thanks for the recommendations. I love the bacon happy hour! I love this list! I got hooked on the HBO series Treme (set in New Orleans) last year at this time and was dying to go! 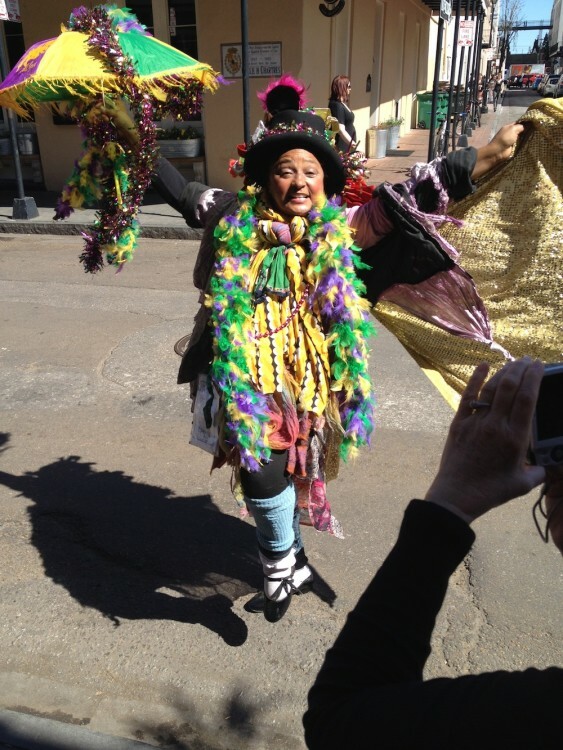 It did inspire creating a number of Mardi Gras recipes for my blog though! I have always wanted to go to New Orleans. It looks like you had a great time. These are great photos. 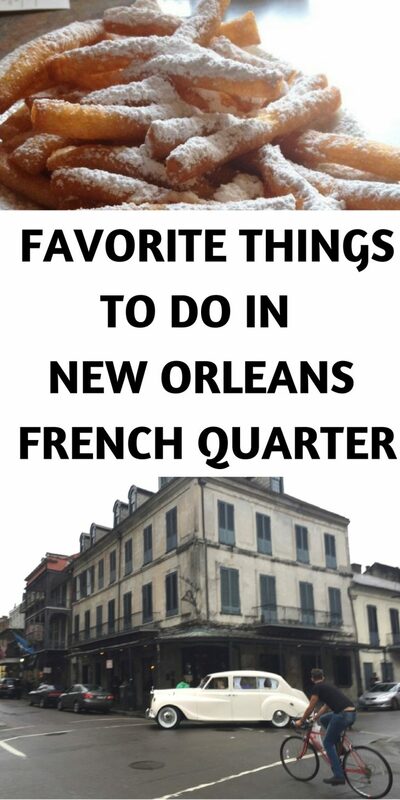 The French Quarter is on my bucket list of places to visit! 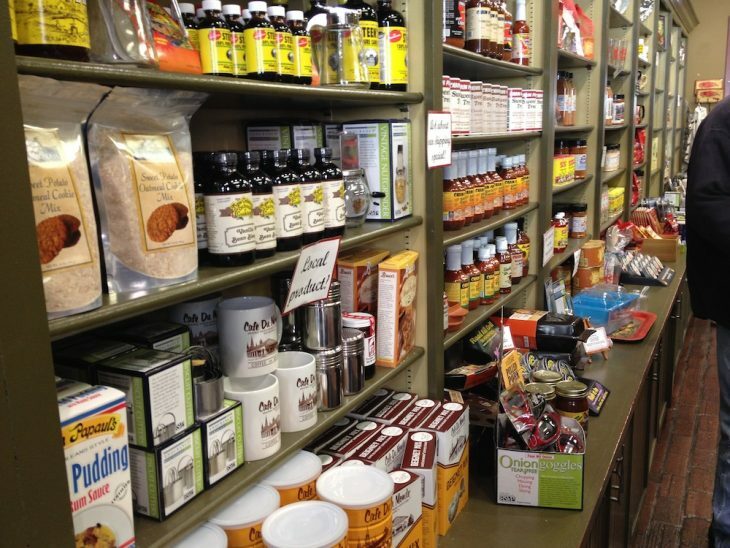 I’d love to spend a week in New Orleans sight seeing and sampling all the tasty dishes! Wonderful pictures! I think my favorite part would be the food – I love making similar recipes, but I just know that mine do not taste nearly the same as the local food would there in the French Quarter. It seems like there is so much to do! Yes, love this Deb! I definitely need to go back and do some more experimenting. This looks like such a fun time. New Orleans is such a fun place. For as long as I lived in the south, I never made it to New Orleans. I have put it on my list of places I must get to visit when I make the move back south and get settled in. PHEW – looks like I hit up most of the Top 7 on my trip to New Orleans last year. I’d like to add the Spotted Cat Music Club. It’s on Frenchman Street so I’m not sure if that’s too far, but it was my favorite night spot to visit by far. I spent a whole week in New Orleans and that was the best week I ever spent! I had time to do all the things you did to the point of just hanging out at a street side cafe, sipping coffee while people watching all day long. New Orleans just feels like home. We love the French Quarter. We went there for several weekend getaways when we lived in nearby Mississippi. Bacon happy hour? Did you go? 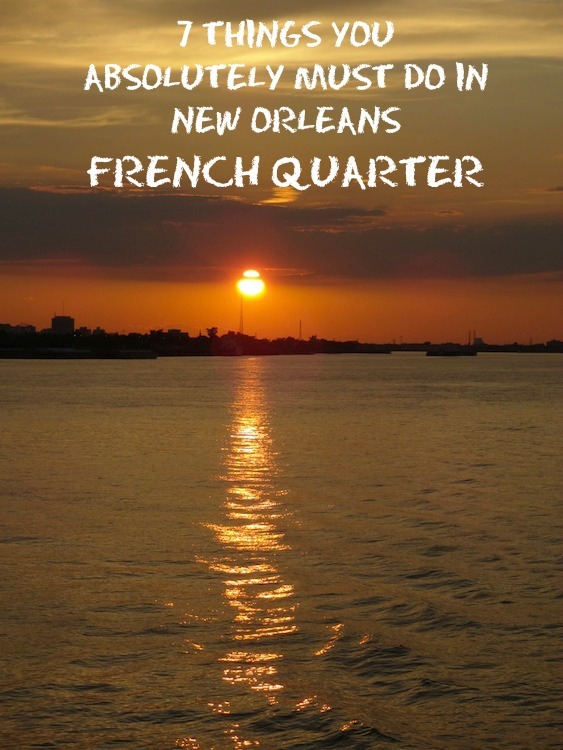 I have never been to the French Quarter, but have always wanted to. I think there is so much culture and great things to see and experience. 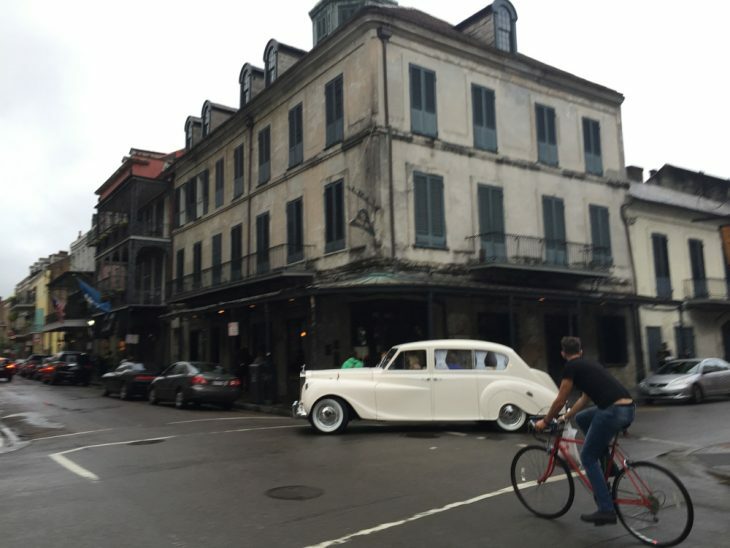 My favorite restaurant in the French Quarter….. Antoine’s…..worth breaking the budget. The Carousel bar sounds like something I’d enjoy a lot. 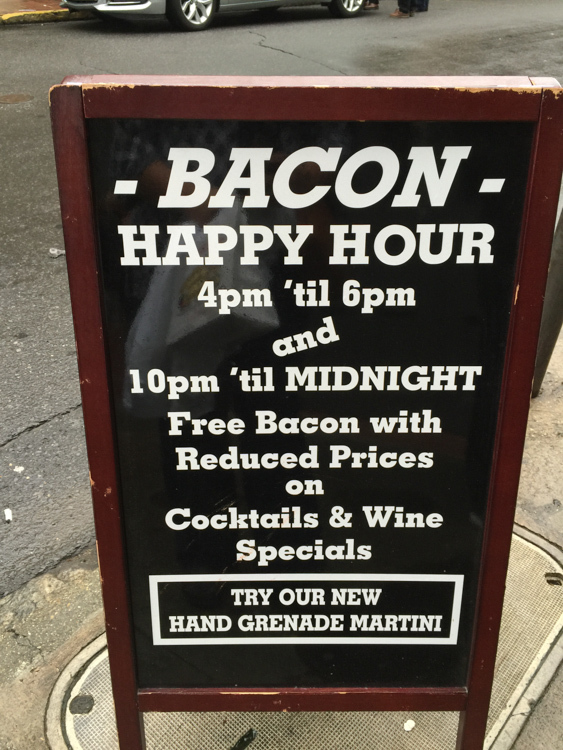 The Bacon happy hour also sounds fun. 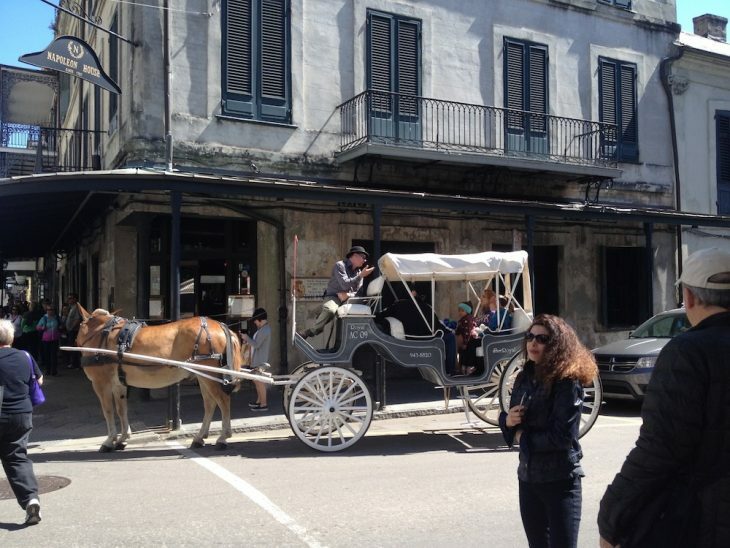 I have never been to visit New Orleans but it is definitely on my list of things to do!